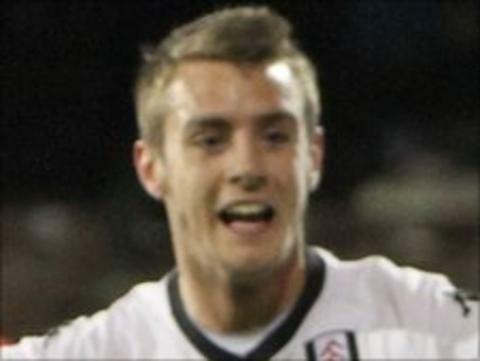 Hereford United have signed teenage Fulham striker Richard Peniket on a month-long loan deal. The 18-year-old, who is 6ft 3in and was born in Bromsgrove, plays for Fulham's academy side and made one appearance in the Premier Reserve League. Peniket, who began on Walsall's books, has played for Wales at Under-19 level and featured in their Under-21 squad. He is reported to have attracted interest in the summer from Wolves, Birmingham City and Rangers. Peniket, who played for the Bulls in a reserve game at Edgar Street against the Glenn Hoddle Academy on Tuesday afternoon, moved to Fulham in 2009, when Manchester United were also keen on signing him. He is available to make his debut for League Two strugglers Hereford against second-placed Crawley at Edgar Street on Saturday.